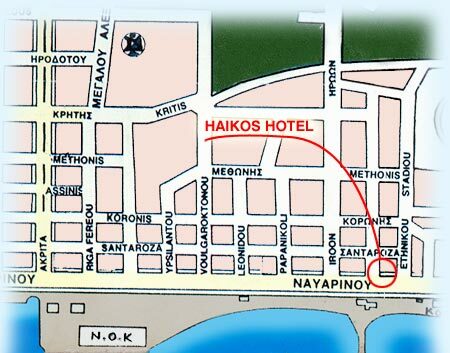 Τ Hotel HAIKOS is built in the most central place on the sea front of wonderful Kalamata just 3 kilometers from the town near the shopping center . Transportation for the center of he city is very easy if you use a taxi or a local bus . 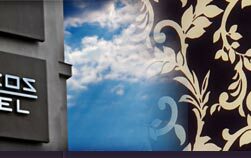 If you come to Kalamata with your own car - motorcycle, you will find us on the street which leads to the coast of Kalamata . 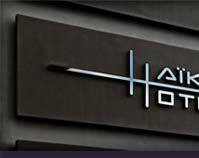 In front of the hotel there is a parking area and after you have checked in , allow the employees of HAIKOS to make your vacations unforgettable.